Elephants, beautiful jungle views, delicious food, bugs, sunshine, rain, hard work, mosquito nets, early nights and wet feet all sum up our amazing week spent at the Elephant Valley Project in Mondulkiri province. Due to some medical moments our team dwindled to nine as Becca and Ryan remained in Phnom Penh to hang out in air-conditioned clinics and swap stories on the best bandages, antiseptic, and medical tape. But not to fear, after just one morning with the elephants Anna was on her way down from the jungle to keep Becca and Ryan occupied with her ever ready song-singing and impromptu dance moves. Back in the jungle the team of eight was busy working at preparing an overgrown hillside for what in a few years time will become an elephant feeding-forest of bamboo! The team worked like a well-oiled machine clearing brush, hoeing dirt, pick-axing giant roots and, of course, dodging swarms of wasps and other unidentified bugs. Soon the hillside was ready to receive the carefully transplanted bamboo plants from another “Heavenly” part of the jungle. After some care, and lots of water the task was finished. 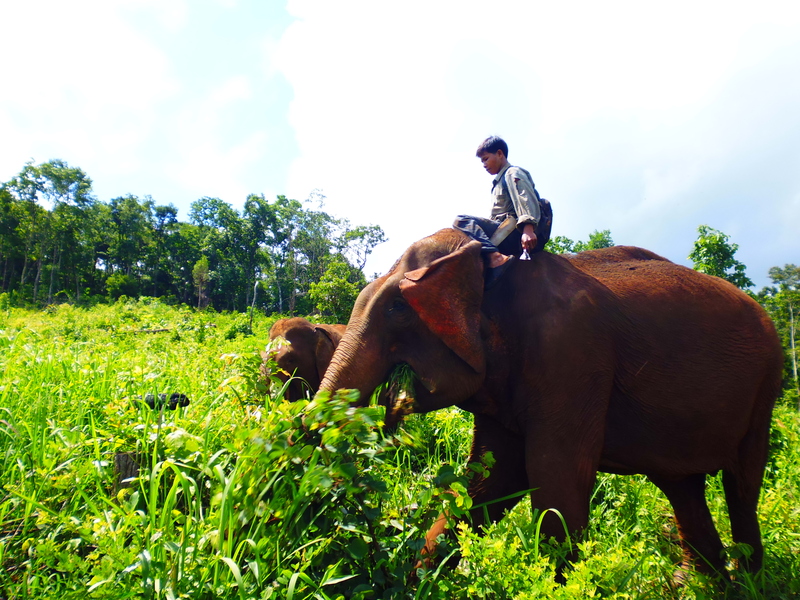 The ladies were tired and sweaty but thankfully they were rewarded with … ELEPHANTS! Each day wasn’t only about helping out the project, of course it was also about getting to know each elephant that calls EVP home. The ladies fell in love with Bob, Onion, Easy Rider, Milot, Ning Wan, Mea Nang, Ruby, and GeeNowl all while learning their stories from our friends at EVP. 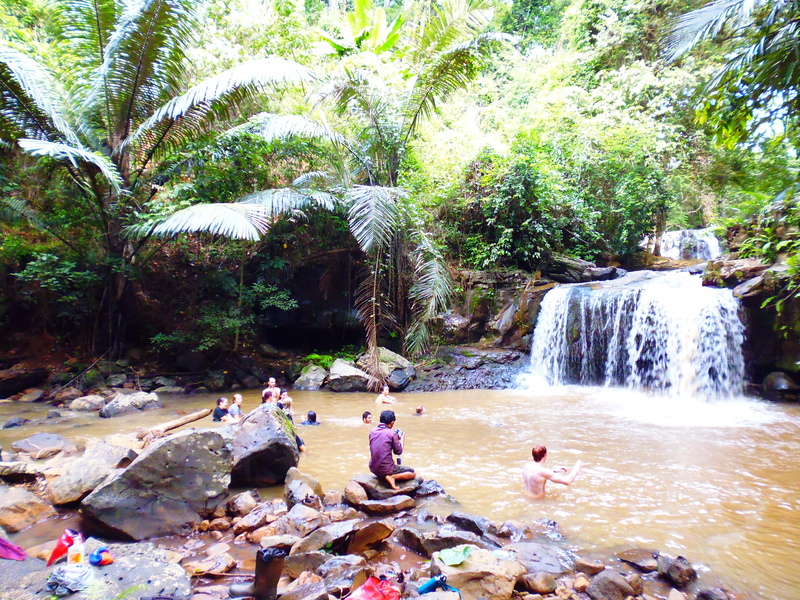 Meandering through the ancient trees, wading through rivers, and just hanging out in the Cambodian jungle watching the elephants in their natural surroundings were definite highlights for all the ladies. The chance to get into the water to help wash off the elephants muddy backs, touch their massive faces or funny looking trunks, and hear them communicating through low grumblings, high-pitched trumpets or shy wines was more then enough to send the group into elephant haven. All and all it was an amazing week filled with lots of elephant love, hard work, and beautiful jungle sunsets and sunrises.